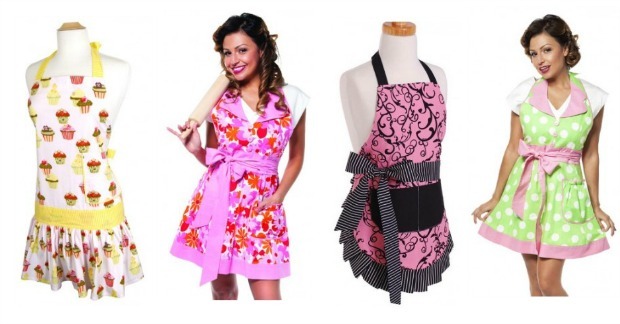 Flirty Aprons Sale! As Low As $3! You are here: Home / Great Deals / Flirty Aprons Sale! As Low As $3! Flirty Aprons is having an irregulars sale! I have to tell you I LOVE these aprons – they are so adorable! I have a few and they are so sturdy and durable, I was completely shocked. I remember my Grandmother’s aprons and they were always so thin and almost disposable. Theses aprons are made of much thicker, quality material than I remember my Grandmother’s being. Sale ends July 15th at midnight! **Deeply discounted prices due to minor imperfections. Irregular prices, while supplies last. **NO coupon codes, offers, or promotions are valid with these irregular sale items. **All Irregular Sale purchases are final.